To qualify for Certified Pre-Owned status, Nissans must be less than 6 model-years-old and have less than 60,000 miles on the odometer, plus they must pass two requirements: A Clean Title (non-branded title) and a 142-point Quality Assurance Inspection. Each Certified California Used Nissan Vehicle is then issued a Vehicle Title Insurance Policy and a Limited Warranty assuring that only pre-owned Nissans that meet Nissan’s high standards become certified. Nissan Certified Pre-Owned Vehicles are protected by a 36-month or 100,000 total-vehicle-mile limited warranty, whichever comes first*. In order to provide you the best selection to meet your transportation needs, Nissan’s Certified Pre-Owned Vehicle Program includes vehicles from 6 months “old”, up to a maximum of 6-model-years “old”. All Nissan models and trim levels are eligible for a wide variety of color and options to choose from. Offering the full, “New” Nissan experience along with remarkable value, each Nissan Certified Pre-Owned vehicle has been subjected to a 142-point Quality Insurance Inspection by Nissan technicians. 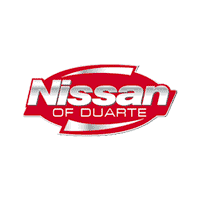 We recondition any component that does not pass inspection or replace it with Genuine Nissan parts prior to certification. Our reconditioning process also includes up-to-date scheduled maintenance service. These efforts assure you that only the finest pre-owned vehicles qualify for Certified status — and the value and security it confers. CA Used Nissan dealers submit each vehicles identification number (VIN) to TitleGuard+Plus™, which provides a Vehicle Title History Summary (VTHS) to make sure a vehicle with unreported Department of Motor Vehicle (DMV) brands or salvaged vehicle will not be registered as a Nissan Certified Pre-Owned vehicle. The VTHS also verifies such things as the correct mileage is on the odometer and that the vehicle was never reported stolen. A copy of the Vehicle Title History Summary (VTHS) is provided to you and … more importantly backed by a Title Insurance Policy with up to $50,000 of coverage; assuring you that “BUY SMART. OWN CONFIDENCE.” is what you get when you purchase a Nissan Certified Pre-Owned vehicle. The Vehicle Title Insurance Policy is assigned to you and the non-transferable Limited Warranty starts effectively on the date of purchase. The Limited Warranty includes coverage for 464-powertrain components for 36 months or 100,000 total-vehicle–miles, whichever comes first. * A minimal $50 deductible applies. Additional benefits and optional coverage are summarized below. For as long as your Certified California Pre-Owned Nissan is covered, Nissan will reimburse you for up to 5 days of car rental (up to $35 per day) while the vehicle is undergoing warrantable repairs. Nissan Certified Pre-Owned Vehicles are eligible for even more protection when you upgrade your coverage to a Security+Plus Pre-Owned Preferred “WRAP” contract. Three options are available. In order to provide you the best selection to meet your transportation needs, Nissan’s Certified Pre-Owned vehicle program includes vehicles from 6 months “old”, up to a maximum of 6-model-years “old”. All West Covina Nissan models and trim levels are eligible for a wide variety of color and options to choose from. *Read the complete Nissan warranty information booklet at participating Dealer for details, including conditions and exclusions. **Up to $500 per incident. For 36 months from the vehicle’s purchase date or 100,000 total-vehicle-miles, whichever comes first.† Up to $100 per claim.‡ Pre-Owned contracts must be purchased at the time of sale.